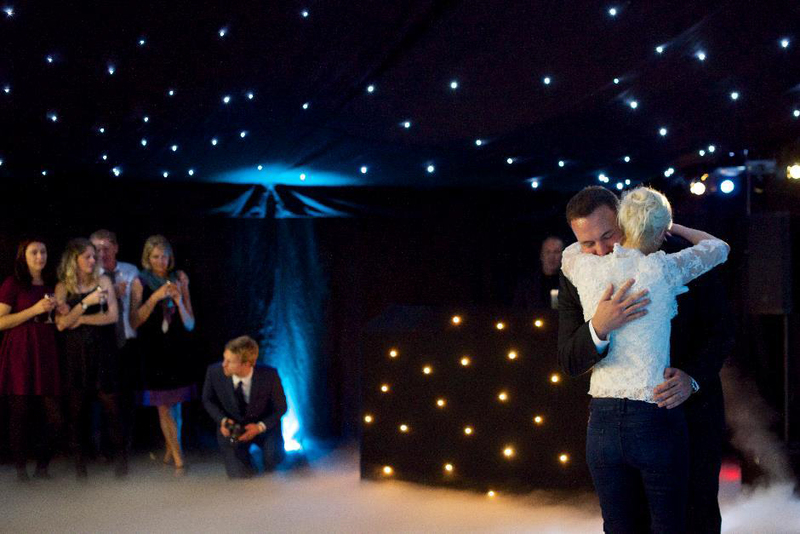 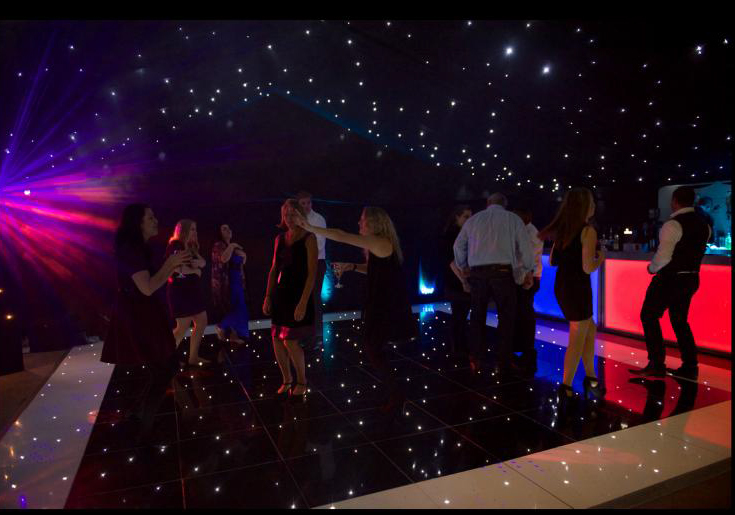 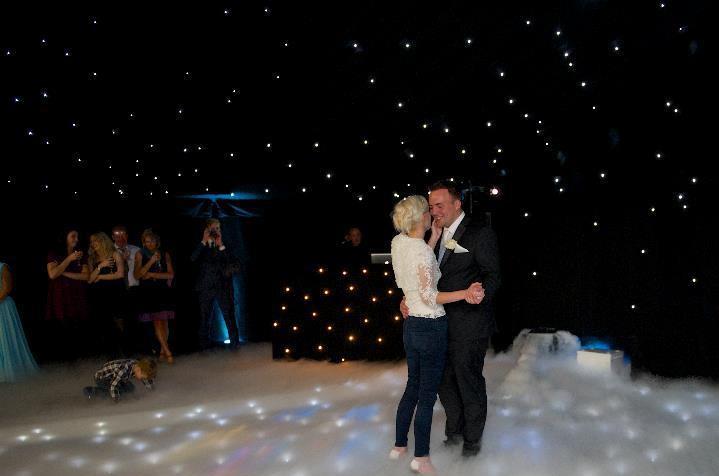 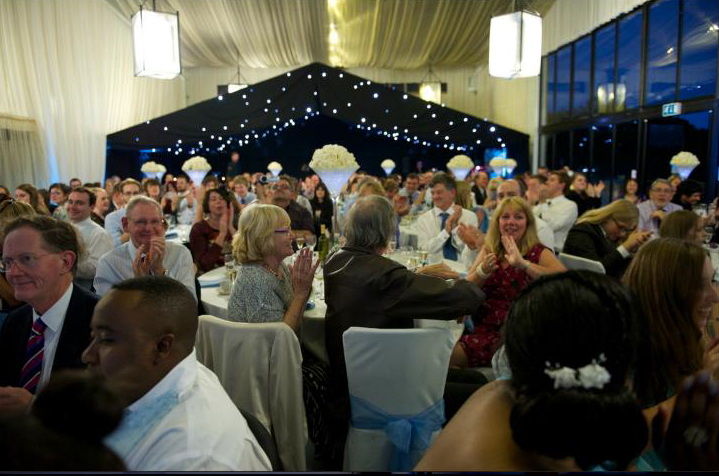 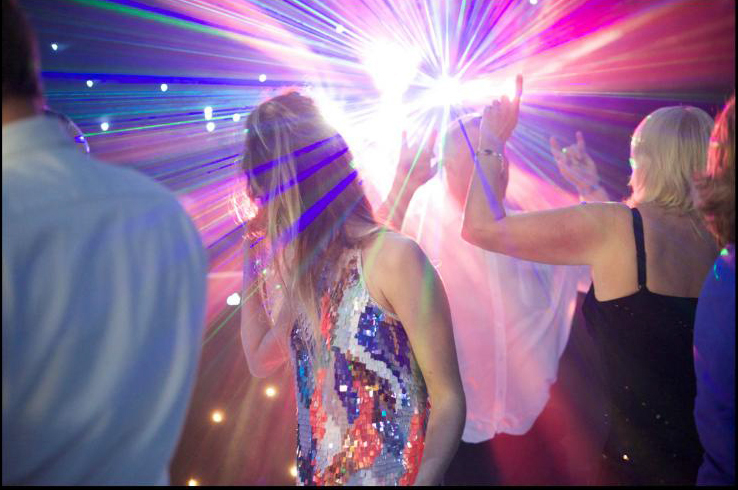 Your team were amazing and I could not recommend you highly enough to anyone looking for a marquee. 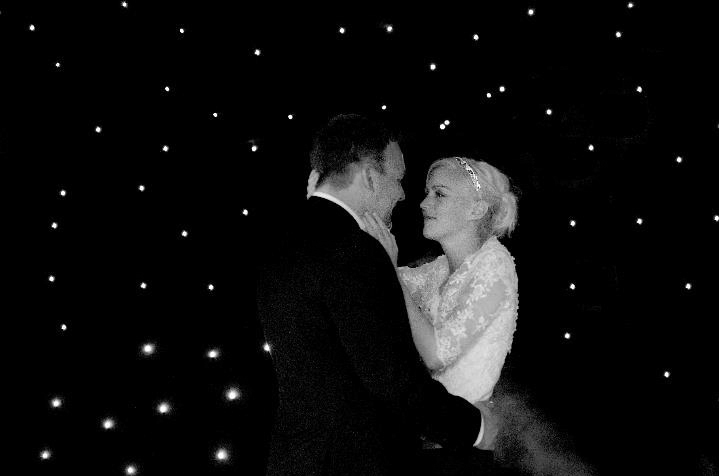 The marquee looked better than we could have ever envisioned and made our day even more special. 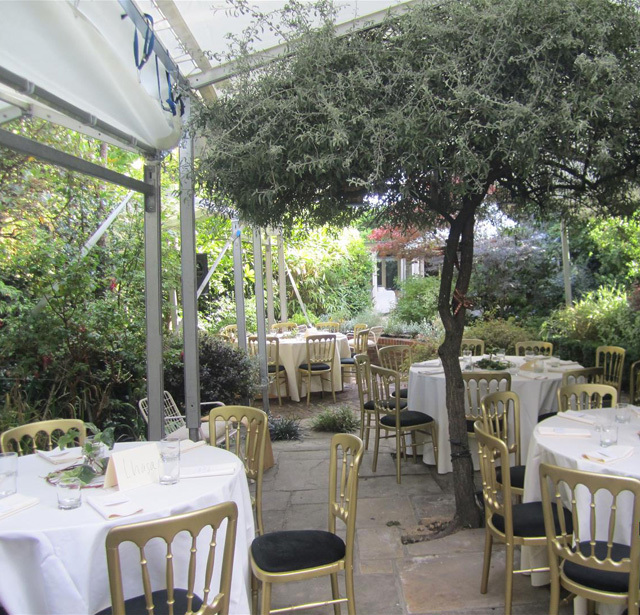 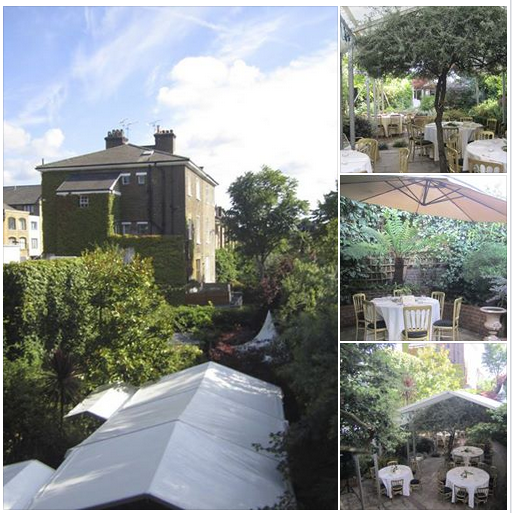 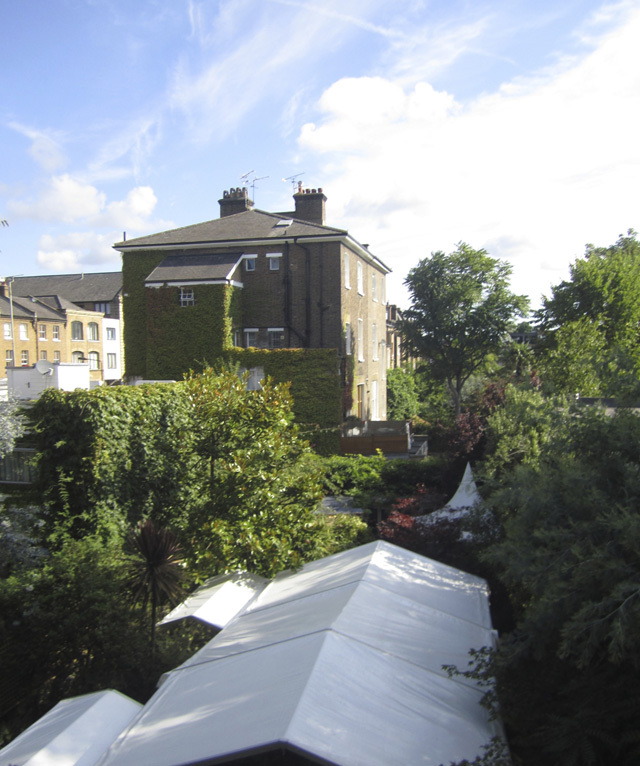 This garden in Wandsworth used window walls to full effect for a wedding drinks reception for over 200 guests in late April. 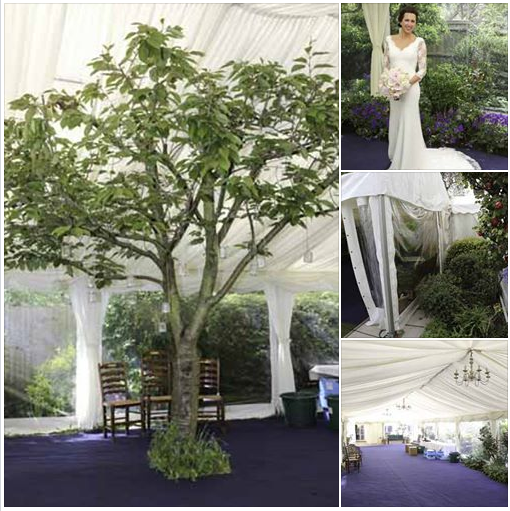 Link marquees to join the house and two separate garden areas provided easy access to both of the larger marquees. 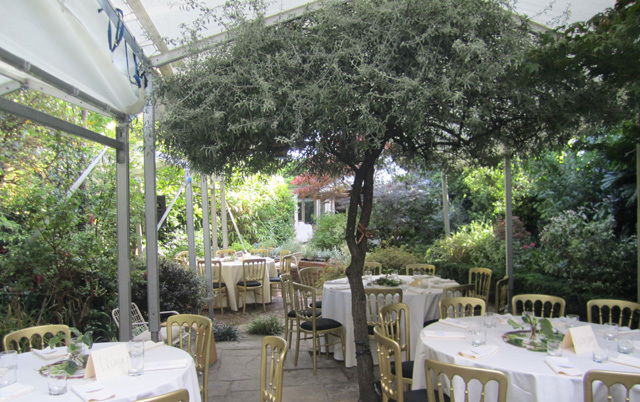 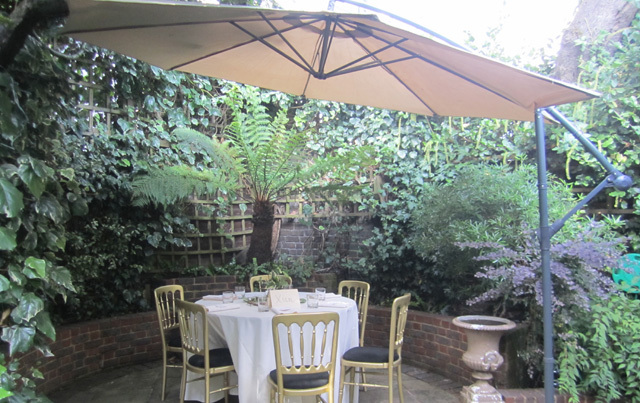 This project consisted of a 3m oriental marquee on a circular patio near the back of the property and a 4.5m x 12m central marquee on extension legs to get over the olive tree and two walkway marquees. 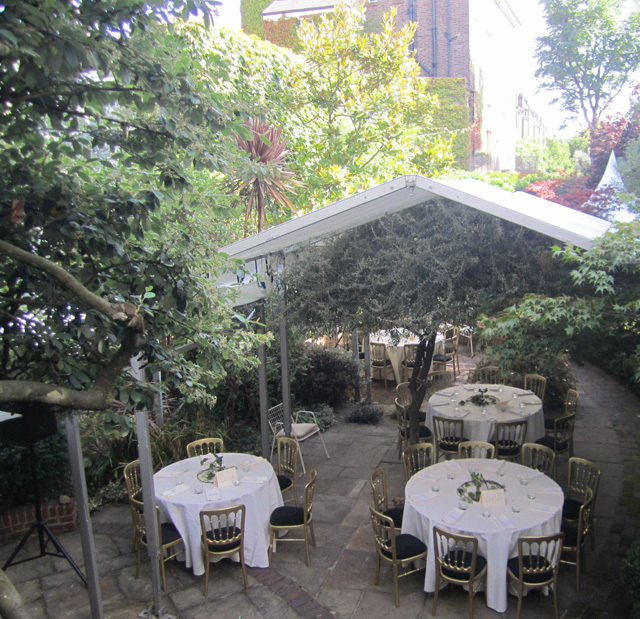 This garden in Wandsworth used window walls to full effect for a wedding drinks reception for over 200 guests in late April. 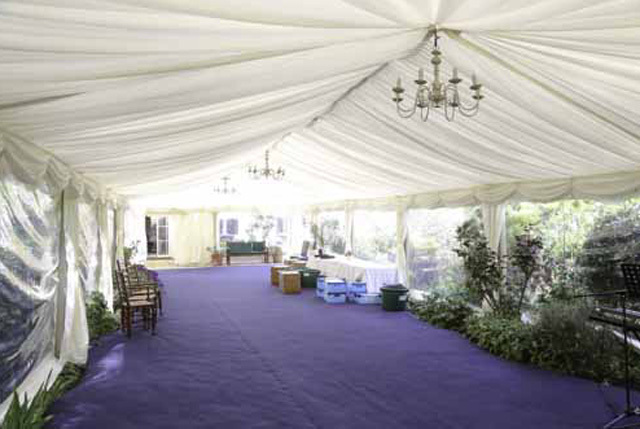 Link marquees to join the house and two separate garden areas provided easy access to both of the larger marquees. 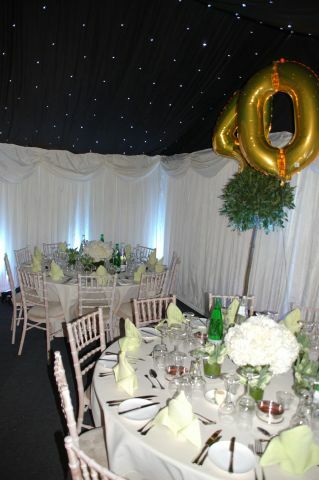 See this wedding marquee hire event here. 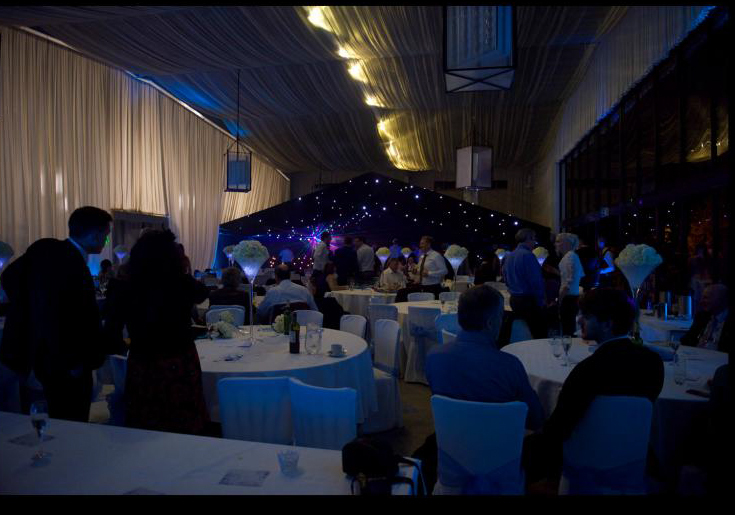 Stage is 8mx6m x 0.6m high with a front step with a dark blue valance. 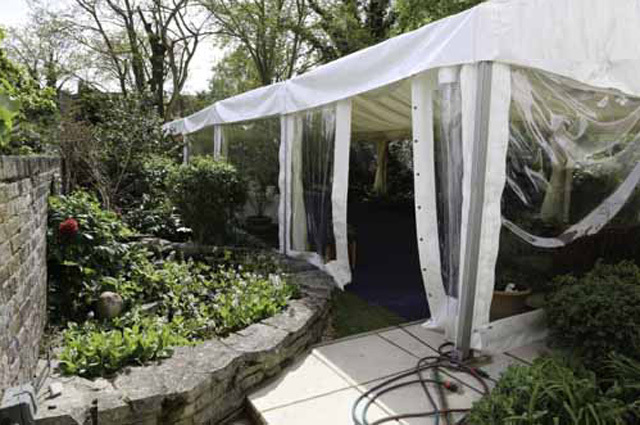 The marquee is fitted with leg extensions to give maximum internal height.